Crash fixes, optimizations, and more! 12:00am EST - One week since the update and quite a lot has occurred. People are souring around in Minicopters, performance is significantly better, and it appears the crashes plauging servers over the weekend have been fixed. Development is moving forward in the form of further optimizations, improvements to the minicopter, and progress on the Oil Rig monument. Last weeks update was not without its hiccups; servers experienced crashes over the several days following. It appears there were a couple types of crashes - some due to oxide and others related to the game. Although the exact source of these crashes isn’t abundantly clear, my money's on the update to the latest version of Unity throwing wrenches in the mix (it wouldn’t be the first time). 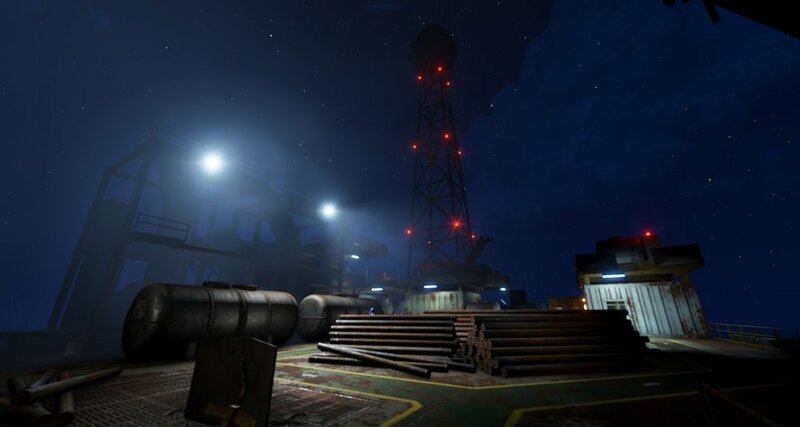 Thankfully, the developers at both Facepunch and Oxide worked hard during the past few days to remedy the issues and it seems they were successful in this endeavor. As of the forced update the other day, crashes have subsided. Through all the hubbub the last couple days, one important thing is not to be glossed over: performance has greatly improved! Both clients and servers have been running better (and held up) over the past few days. A huge thank you to the team at Facepunch for prioritizing these optimizations to the game. There is still one casualty of the update at play: puzzles at power plant are broken at the moment. Alistair confirmed this will remain the case until the next wipe. Speaking of optimizations, Diogo is working on implementing a new system which saves on client overhead. A new feature in Unity 2018.2, texture streaming allows developers to control which mipmap levels are loaded into memory. This system is used to lower the overall memory usage by only loading the textures which are needed based on the current conditions. Long and short: it trades a small amount of CPU power for a large savings in GPU memory. After its arrival last week, the Minicopter is seeing some tweaks and improvements. Along with some updates to the model, a fuel gauge for this new airbound vehicle is in the process of being added. Although not on the main branch yet, fuel levels will likely be visible to the pilot come the next update. Andre is working on some tweaks to the build process. No, this doesn’t have anything to do with building bases. Rather, it refers to improving the speeds at which new commits and last minute changes can be tested on the staging branch. Each time a change to the code base happens, the client and server files have to be ‘built’ prior to being able to test them out. This process used to be a lot quicker, but over time has slowed down to the point where it takes over an hour for one of these builds to happen. This extended build time can make for late patch releases when last minute changes need to occur. Hopefully through this body of work, those build times will be reduced. Work continues on the long awaited Oil Rig monument. It has come to light this week that there will actually be two versions of this monument, a large and a small. Similar to the Harbor monuments, it’s likely both of these will be present of most maps. These monuments are still on a separate branch, but we will have a full write up of what to expect once they are merged in. Finally, a note on the current climate of hackers. The game has seen an influx of cheating over the past week. Word on the street says this is caused by a new type of hack which blocks communication with EAC. The state of hackers is always an ebb and flow - sometimes there are very few hackers, other times servers are inundated with them. Thankfully, EAC and the developers at Facepunch are generally quick to come through with updated detection and mitigation of new hacks when they come out. Moderation team applications are open! We’re actively seeking new members to join the ranks of our esteemed moderation team. If you’re over 18, have a level head on your shoulders, and preferably (although not required) have some moderation experience, please fill out an application today!